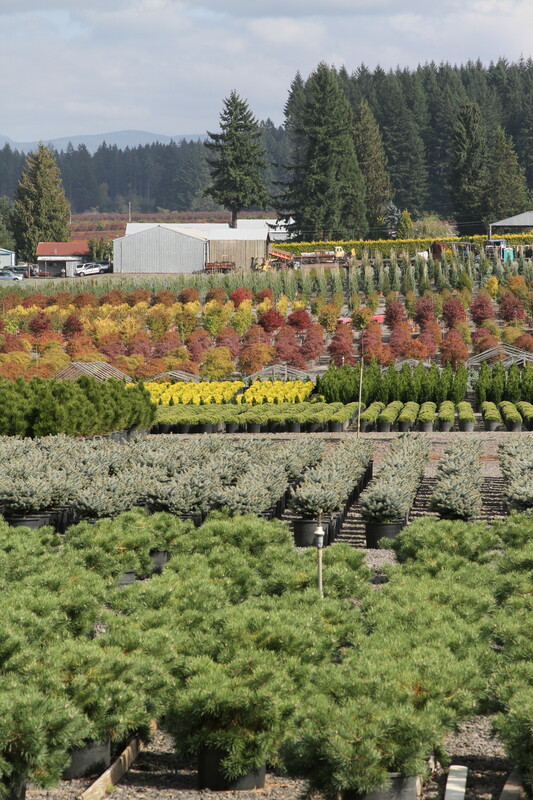 Production area at Iseli Nursery in Boring, Oregon. Oregon is known for many things. The quirky culture of Portland, as seen on the IFC sketch comedy hit Portlandia. The most breweries per capita in the country, and great wines from Oregon’s wine country. A trendsetting culinary scene, from food carts to fine dining. There’s also the powerhouse Oregon Ducks football team, who have become perennial national title contenders, and the rising Portland TrailBlazers, who have flown under the radar while turning into one of the best young teams in the NBA. For nursery people, it’s much the same — Oregon is known for many things. Great soil. A moderate climate with winter dormancy, so many different plants can be grown here. And, of course, an ideal balance of cold-season rain and warm-weather sun. But those are just Oregon’s natural attributes. There’s also the remarkable vision that many Oregon growers possess. Jean Iseli believed in the commercial potential of dwarf conifers. Keith “Ketch” de Kanter believed in the marketing potential in small plants. Devin and Allison Cooper believed in a nursery lifestyle where the customer comes first. And from a very young age, Brent Markus believed in the value and potential of rare and unusual trees. These growers invested their sweat, money, time and ingenuity in their respective visions. 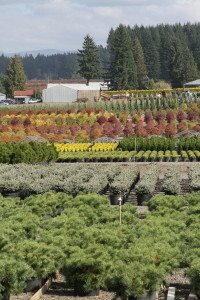 And with help from Oregon’s ideal natural environment for plants and trees, their vision and their ideas became fruitful. Click the links below and begin to read the stories of some of Oregon’s best growers. See how they started with a seed of vision and nurtured it through tough times until it reached full flower. You’ll learn, as they did, why Oregon is Nursery Country.